Professional Association of Diving Instructors(PADI) is the most comprehensive dive curriculum in the world. It’s based on progressive training that introduces local environmental knowledge and safety-related information. 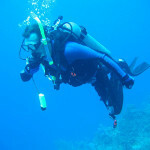 PADI courses incorporate modern teaching guidelines and multi-media enhanced teaching aids. All training programs make learning to scuba dive easy, fun, and safe. Needless to say, the PADI professionals maintain the highest standards for diver training. So, what are the various PADI certifications that are available? Let’s jump right in! If you’ve ever wanted to discover the wondrous world beneath the waves, this is where it starts. Open water course is usually a 5-day program designed to help you dive anywhere in the world up to 60 feet. First, you’ll train in confined water under the supervision of PADI instructor. This will help you learn new skills or fine-tune your techniques. The course teaches the basic principles of scuba diving. In addition to that, you’ll learn to use basic and standard accessories including snorkel, mask, a tank, fins, and buoyancy control device. The equipment you wear will depend on whether you’re diving in cold, temperature, or tropical water. To enroll for this course, you must have the basic swimming skills, and most importantly be in good physical health. Just like other PADI courses, you have to learn the theory first. Of course, the more time you spend in water the more confident you’ll become. Why take the course? This is a good opportunity to try the different specialties that interest you. This is the next step in your scuba diving journey after completing the basic open water course. 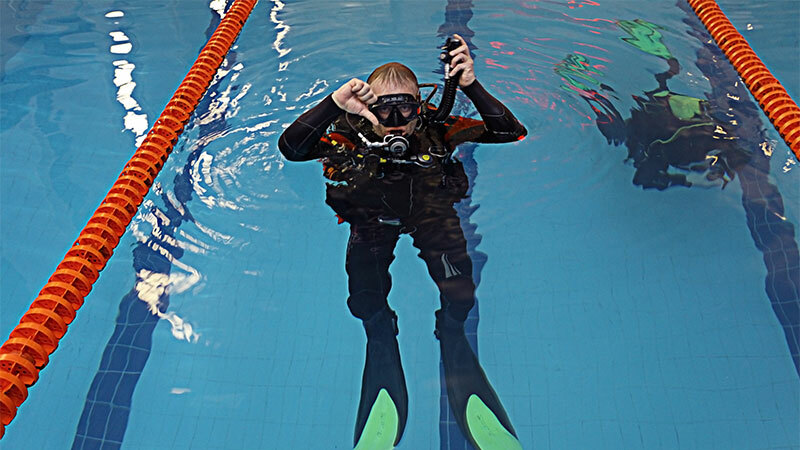 Advanced water course will help you act and think like a diver. The instructor will introduce the different types of dives to expand your scuba skills. 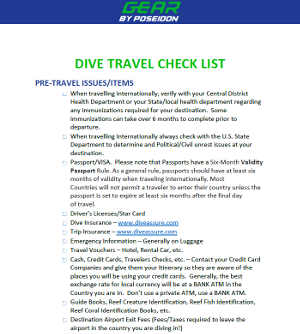 Once you get this certification, you can access a wide variety of dive sites of up to 70 feet. With this depth, you can see a variety of seas creatures that you can’t see in shallow waters. This PADI course has five different adventure dives – two dives during the day, deep water navigation, and night dives. In deep dive, buoyancy declines, air consumption decreases, and no stop time decreases. During the course, you’ll learn how to deal with these effects. To earn advanced open water certification, you should complete a number of adventure dives. The skills and knowledge you get will help in fish identification, exploring wrecks, photography, and many more. This course is challenging, yet very rewarding. You learn how to prevent and manage problems in water. Besides that, you’ll practice problem-solving skills until they become second nature. At the end of the course, you’ll be in a better position to deal with dive emergencies using a variety of techniques. Some of the common topics include emergency management, self-rescue, rescuing unresponsive divers, and rescuing panicked divers. The course has three segments; confined water, knowledge development, and open water dives. To begin with, the instructor provides you with all learning materials and clears anything you don’t understand. In the confined water environment, you’ll learn the basic skills before you get out into real-world rescue conditions. On each stage, the instructor will teach you how to use the oxygen unit, CPR mannequins, marker buoys, first-aid kit, and floats. By paying attention to safety and environmental considerations, the awareness of the diver is massively increased. Unlike other PADI courses, rescue diver satisfaction requires you to be a professional diver. Master scuba diver certification puts you in an elite group or respected divers. Only 2% of divers achieve this rating. The prerequisites include earning open water certification, advanced open water diver, and rescue diver. Other than that, you have to earn 5 specialty PADI courses and take a minimum of 50 dives. This course offers the starting route if you want to become a professional dive master. Apart from diving, you have some fun to see others do the diving. The instructors will teach leadership qualities and help you fine-tune your dive skills. You’ll gain knowledge on problem-solving, rescue skills, and how to become a role model to other divers. With this certification, the adventure of a lifetime awaits you. A divemaster can assist with diver training or supervise scuba diving activities. It’s one of the few PADI courses that require attention to details. To earn the certification, you must be at least 18 years. Other prerequisites include “fit to dive” medical statement, rescue diver certification, advanced open water certification, and complete 40 logged dives. Note: you have to do 60 logged dives to finish the certification. Once you’re an authorized Divemaster you can conduct dive briefings, supervise diving-related activities, and lead local diving programs. It’s one of the best PADI courses that help you explore adaptive techniques while increasing awareness in varying diver abilities – mentally and physically changed divers. The diver must be at least 15 years old and must complete primary & secondary emergency first response course. P rior to becoming an adaptive course diver, you must complete peak performance buoyancy. You can combine this certification with other PADI courses. The course trains you how to dive up to 140 feet. You’ll learn advanced skills like oxygen consumption and how to configure the bailout cylinder system. Just like other advanced PADI courses, you must have certification in open water diver/advanced open water diver. Above all, you should have a minimum of 30 logged lives. Beyond the normal equipment like fins, mask, and collapsible snorkel, the instructor will guide you on the type of rebreather to use. All rebreathers are not the same, so it’s important that they undergo third-party testing to meet a comprehensive list of requirements. If you’re not a certified rebreather diver the instructor can combine the two PADI courses together. Do you want to try digital underwater photography? Well, an adventure diver course offers a long list of scuba diving adventures including dry suit diving and fish identification. This is a good chance to build more confidence in the waters. Even better, you can try the most rewarding diving adventures like underwater navigation, fine diving, and fine-tune your buoyancy. As you complete your buoyancy you can perform underwater obstacles and backflips. You have to complete three PADI courses to get this certification. Deep dive course is a must as it will help to understand the diver mentality in deep waters. It’s up to you to choose the other two PADI courses. Whatever your diving aspirations are, the above PADI courses can help you achieve them. They sharpen you with the necessary skills and safety-related information. It’s worth mentioning that you can register on PADI e-learning option. The web-based system allows you to learn at your own pace through an interactive program. It’s time you hone your scuba diving skills and explore the exciting underwater world.